I'm watching assisted romance bloom in America and couldn't be happier. In the short time since we brought the Wingman beta to America, we've been thrilled--almost every day--to hear stories from people in the US, the UK, and around the world about what it means to be a wingman not just in love, but in life, too. People who saw news reports about our launch have written to tell us about how great it is to have a wingman who always has their back--or how much it means to them to be able to support their best mates in good times and bad. It's sometimes a best friend, sometimes even your Mom or Dad. Indeed on Mother's Day, we saw flood of emotion in the stories people shared about how their first and best wingman ever will always be Mom. And now we're getting stories about dads as Father's Day approaches. And as we have known from the very start, a wingman isn't always a person. Many of you have told us what we already know: That the wingman you lean on for backup is so often a pet. This is of course obvious to anyone who's ever walked down the sidewalk with an adorable mutt, or managed to get through one of life's rough patches with strong, stoic support of the cat or dog they share their life with. All these amazing wingman stories you've shared with us have only made us want to hear more. So today we're inviting all of you to tell us about the Wingman in your life and nominate them to be part of our next ad campaign. We want to get at the essence of being a selfless friend. Tell us about your BFF, your little brother, your tough little bulldog-lab mix who walks beside you in life. And if you're a Master Wingman yourself, tell us your secrets. Tina's belief in the value of helping others led to the development of Wingman Action Programs, including a partnership with Second Chance Rescue, one of the New York's most effective animal rescue organizations dedicated to helping some very desperate--and but incredibly deserving dog and cats find forever homes. Wingman has pledged to make donations to Second Chance each time someone shares the campaign on social media, or installs the Wingman app between August 1st and October 1st, 2017. The pets of Second Chance all deserve a Wingman for Life. We're dedicated to helping them find their Wingman. Read more about the program and support the campaign HERE. 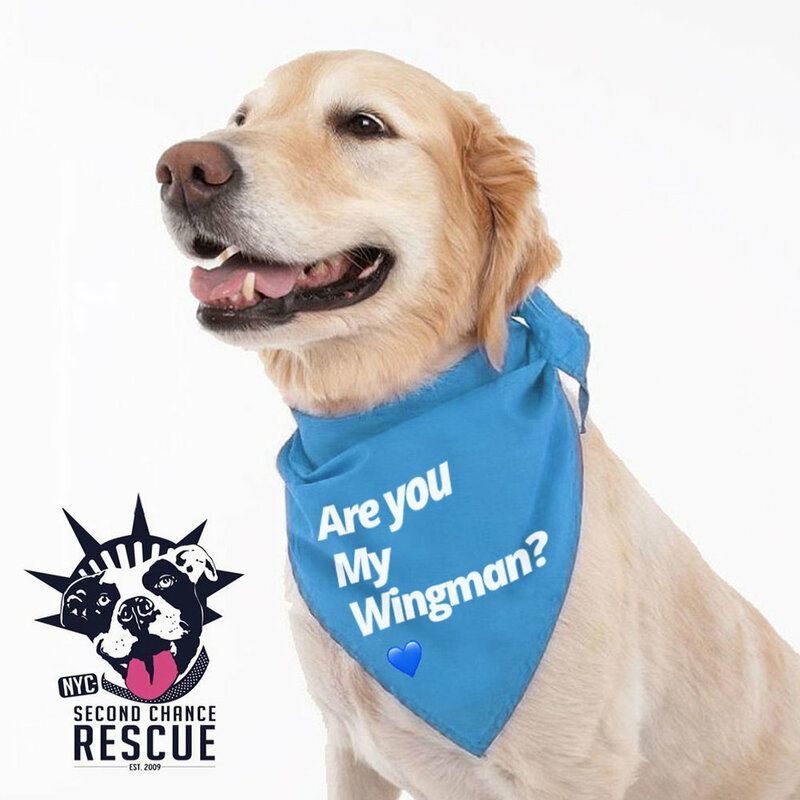 Catalina Needs a Wingman: Second Chance Rescue volunteers help the the most desperate and the most deserving find the Wingman for Life they deserve. Wingman, a new mobile matchmaking app, today announced results of the first Wingman Assisted Romance Survey from research conducted in the UK and the US earlier this year that suggests most millennials (90%)—whether they are single or in a relationship--say they would enjoy playing matchmaker for their friends. Indeed, almost seventy percent (70%) said they thought the matches they would make for their friends would be better than if their friends continued to pick their own dates. The physical, mental, and spiritual benefits of doing something good for someone else are well known. Whether you're creating happiness for a friend or offering much-needed help to a stranger who's less fortunate, the very act of helping is good for you. Research shows that the more people abandon a selfie-lifestyle to focus on helping others, the happier and healthier they will be. Millennials, in particular, look for opportunities to work with mission-driven brands and organizations. Tina's mantra, It's Not About You, stems from this knowledge and applies equally to romance and life. This worldview is reflected in her devotion to charities as a way for people to find happiness by working for the good of others. An important part of Wingman's mission is to support worthy charities, including Second Chance Rescue, a rescue organization where dedicated volunteers work tirelessly to find wonderful, homeless dogs and cats the Wingman for Life they deserve.